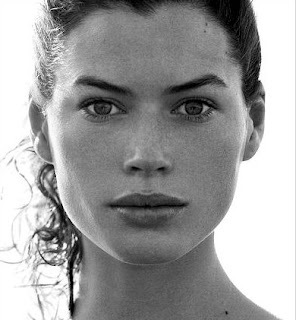 Carre Otis began her modeling career at age 16, while hanging out in San Francisco, she was immediately sent to Paris where she began to achieve recognition after appearing on the cover of French Elle in 1986. 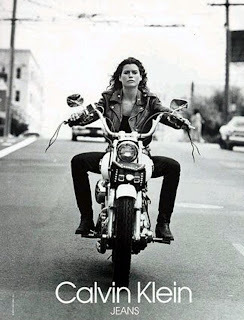 Over the next several years her career sky rocketed with a Calvin Klein Jean Ad that till this day is considerd one of the most famous campaigns. Around this time she also made her acting debut alongside Mickey Rourke who later became her husband in the film Wild Orchid, her beauty and sexuality was undeniably raw and magical. The constant very public struggles with her relationship to Mickey Rourke and drug abuse became notorious in the gossip magazines and after a tumultuous 6 year marriage ended she found peace and serenity in the practice of Buddhism and began the process of getting herself off substances. As part of her recovery process Carre began to gain weight "in the fashion worlds standards" but this did not stop her from Modeling she became a plus size model at size 10/12 imagine being considered as a plus size model when the average size is 12/14. Today at 43 Carre Otis has become a spokesperson for substance abuse, and eating disorders something she too faced in the height of her modeling career. She still remains as one of the most beautiful women to have ever graced the fashion pages of our time. Where is she now? 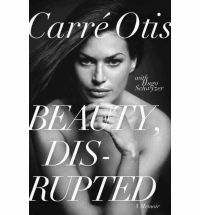 Carre Otis most recently has written an extraordinary account of her life, struggles and career, a wonderful read which I highly recommend Beauty Disrupted, and is a devoted wife, mother and Buddist who still models from time to time. nice information i love the post especially i love the way you have posted this post. You way of presentation is awesome.